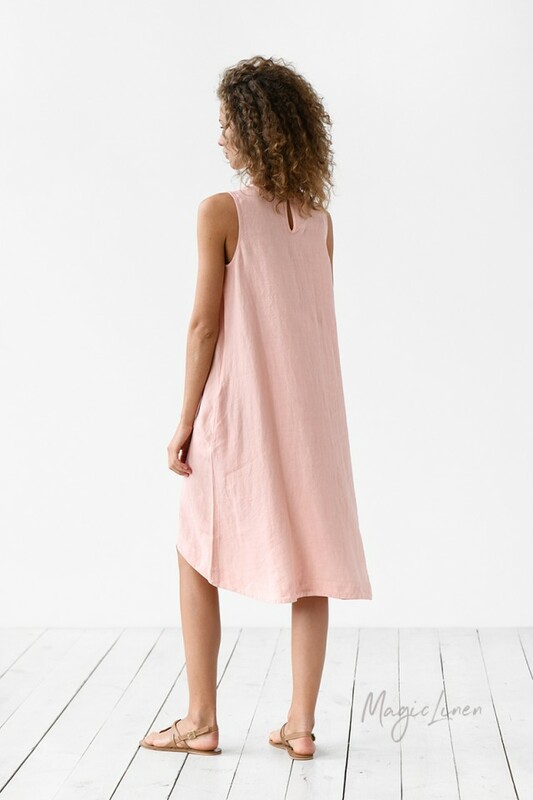 Sleeveless linen dress available in two colors: white and light pink. 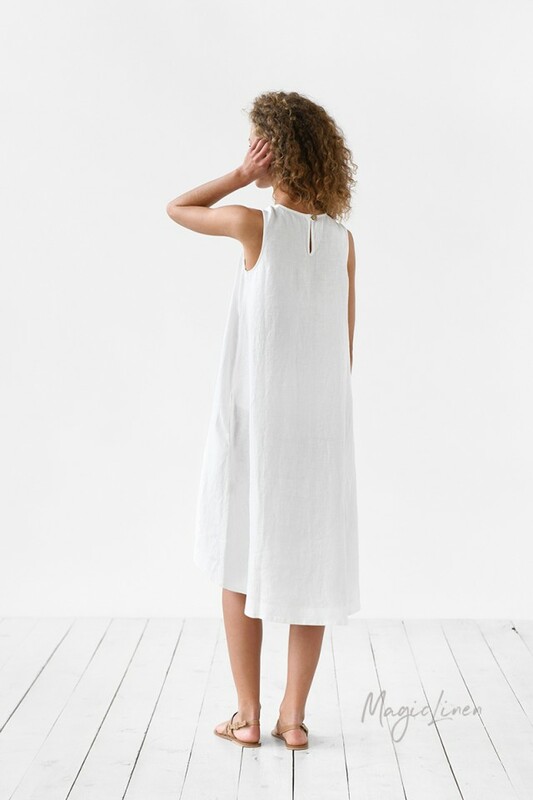 Designed to have a relaxed fit, this dress features an asymmetrical high-low hem, two side pockets, and a coconut button closure in the back. 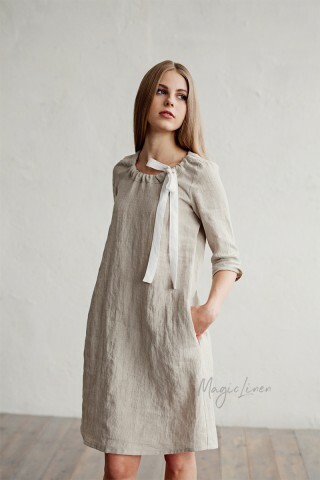 Breathable, lightweight, and effortlessly stylish, it’s destined to become your wardrobe staple.